Our readers may have read a recent article in The New York Times concerning a compulsive hoarder (or “collector”) and his struggle to clean out his rent-stabilized apartment in order to avoid eviction. 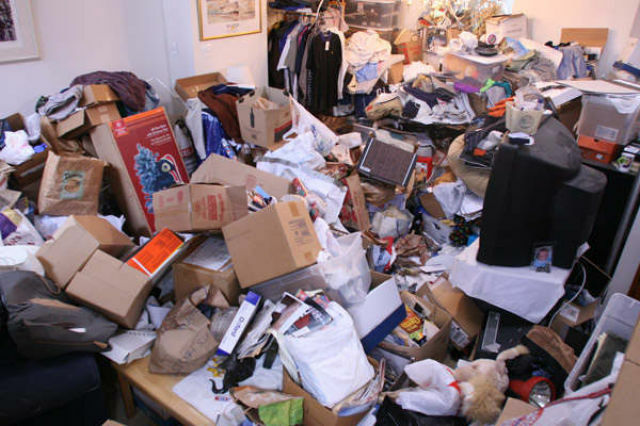 While this situation is so notorious that it even became the subject of an episode of the television series “Hoarders”, unfortunately the issue is not uncommon. This blog post will discuss hoarding in the context of a cooperative or condominium building and the legal remedies that the cooperative or condominium board has to preserve the standard of living of the building’s residents. Hoarding is more than a personal problem for a shareholder or unit owner. The board’s response needs to take into account more than merely trying to give the unit owner a clutter-free existence. The real concerns behind a neighbor’s hoarding are as follows. Hoarding can be a symptom of mental illness. In some cases this author, on behalf of a cooperative board, has needed to inform the shareholder’s next of kin of a potential mental illness that needs to be addressed or has commenced guardianship proceedings to have an individual appointed as guardian of the shareholder to promote the person’s safety and well-being. Article 81 of New York State’s Mental Hygiene Law governs the procedure for appointing a legal guardian for an adult, as may be necessary to provide for personal needs (such as health and safety) and/or to manage financial affairs. Usually the Supreme Court in the county in which the alleged incompetent resides is the forum for the hearing and trial, but in some cases the Surrogate’s Court in the same county can adjudicate the matter if it is in the context of an already existing estate proceeding. The Court may appoint a guardian if there is clear and convincing evidence that the person will suffer harm because he is unable to provide for his personal needs and/or property management and the person cannot understand the consequences of such inability. The guardianship procedure can be brought by “a person otherwise concerned with the welfare of the person alleged to be incapacitated”. Such a proceeding is commenced by Petition and Order to Show Cause, personally served upon the alleged incompetent. An independent court evaluator is appointed to determine the person’s ability to manage the activities of daily living, ability to manage one’s own financial affairs, and the necessity of appointing a guardian. After a trial or hearing, the Court may appoint a guardian to handle the affairs of the incompetent, who must undergo training, post a bond and file reports with the Court at regular intervals. Fire hazards can develop because the “collection” blocks fire escapes, windows, doorways and stairwells, as well as potentially compromises the building structure in such a fashion that collapse is possible. Offending odors are also a common result of hoarding. These odors permeate the building, causing discomfort to fellow residents and potentially hindering their ability to sell or sublet their units. Likewise, hoarding attracts rodent and insect problems, an obvious problem for other residents. What are the cooperative or condominium’s remedies when a resident hoards? We have written extensively about legal responses by a cooperative or condominium board to a unit owner’s default in prior posts to this blog. It is common for a violation of a house rule to be interpreted as a default of a cooperative’s proprietary lease or condominium’s by-laws. Further, most proprietary leases and by-laws contain a clause that unit owners will not permit unreasonable odors or suffer anything that will interfere with the rights of other residents or unreasonably annoy them. Hoarding behavior can also be encompassed by the “objectionable conduct” provision of the cooperative’s or condominium’s governing documents, permitting the termination of a proprietary lease if the hoarding is not cured. The cooperative or condominium could also enter the unit to inspect or exterminate and have the “collection” removed, at the cost of the unit owner. Our firm stands ready to assist cooperative and condominium boards should a hoarder fail to adopt a clutter reduction program. Further, our attorneys are also experienced in conducting guardianship proceedings, should the need arise.